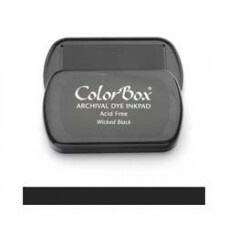 Our Color Box Archival Ink is acid-free and based on ink base. They detailed stamps are to be achieved. The paint dries relatively quickly. The smoother the paper the finer the prints. ♥Ink Pad, color: Black. Our Color Box Archival Ink is acid-free and based on ink base. The paint dri..
♥Ink Pad, color: Turquoise. Our Color Box Archival Ink is acid-free and based on ink base. The paint..
♥Ink Pad, color: Green. Our Color Box Archival Ink is acid-free and based on ink base. The paint dri..
♥Ink Pad, color: Moody Blue. Our Color Box Archival Ink is acid-free and based on ink base. The pain..
♥Ink Pad, color: red. 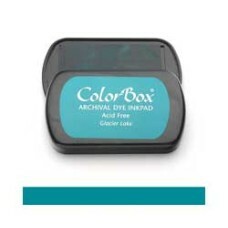 Our Color Box Archival Ink is acid-free and based on ink base. The paint dries..